Oil-to-Gas Conversions- never pay to fill up your oil tank again! 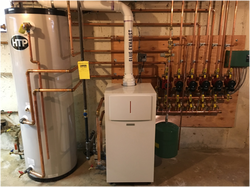 As the price of heating oil continues to escalate and natural gas becomes even cheaper it makes more sense now than ever to convert your heating system from oil to natural gas. Heat your domestic hot water too, for less! Heating oil customers should take advantage of the state and government incentives to convert to natural gas while they are still available! 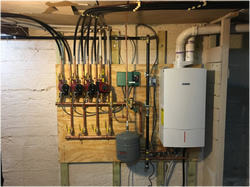 Here at Pespisa Company we work with the gas companies to make these conversions smooth and easy for our customers. We guarantee our parts and labor with warranties up to 10 years. Pespisa Company is committed to our customer’s satisfaction and we will work with you on all aspects of the job to make sure your needs are met above all else. 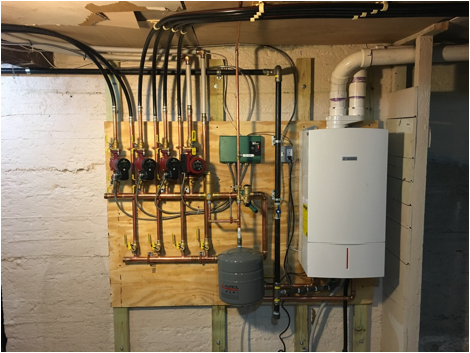 about converting your home to natural gas. *Pespisa Company does not guarantee savings. 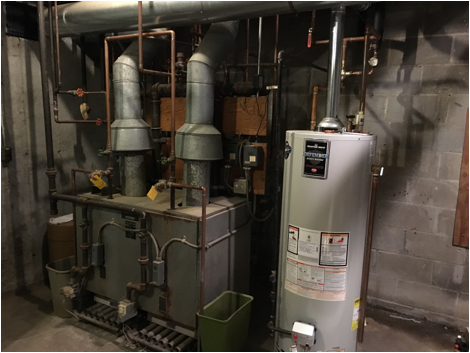 But we have been told by customers of ours that after we replaced their oil heating system with a natural gas system, their heating fuel bills have been reduced by more than half! In some cases that can save $1000’s a year. 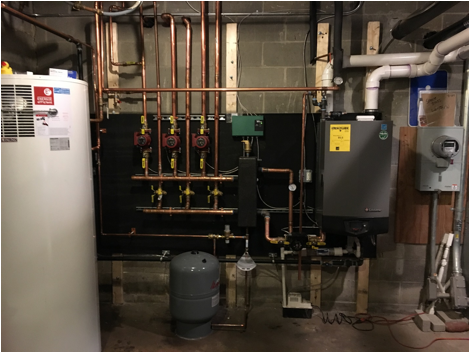 After - New High Efficiency Lochinvar Wall Mount Boiler with Heat Pump Water Heater at the First Parish in Bedford, MA. Grundfos 26-99 high flow circulators for (2) air handlers to heat Sanctuary.